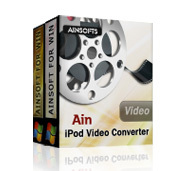 AinSoft iPod Converter Suite, an awesome iPod apps suite that includes DVD to iPod Converter and iPod Video Converter. Output Device iPod, iPod touch, iPod nano, iPhone, Apple TV, PMP, etc. 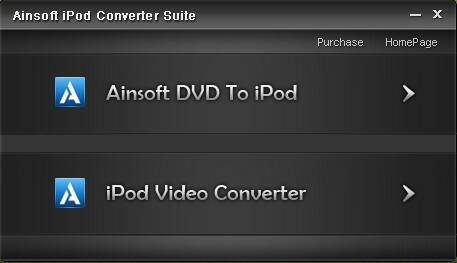 AinSoft DVD to iPod Converter and iPod Video Converter can be used as a video player because we can preview the movies before converting. The quality and definition of the movie that played through preview window is as perfect as the original ones. Input DVD files are always displayed as titles/ chapter after being added to list. To save time, you can select several of the titles/chapters to proceed multi-conversion at the same time.